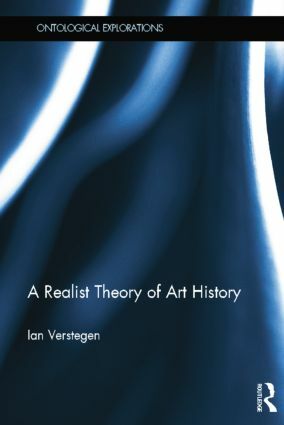 As the theoretical alignments within academia shift, this book introduces a surprising variety of realism to abolish the old positivist-theory dichotomy that has haunted Art History. Demanding frankly the referential detachment of the objects under study, the book proposes a stratified, multi-causal account of art history that addresses postmodern concerns while saving it from its errors of self-refutation. Building from the very basic distinction between intransitive being and transitive knowing, objects can be affirmed as real while our knowledge of them is held to be fallible. Several focused chapters address basic problems while introducing philosophical reflection into art history. These include basic ontological distinctions between society and culture, general and “special” history, the discontinuity of cultural objects, the importance of definition for special history, scales, facets and fiat objects as forms of historical structure, the nature of evidence and proof, historical truth and controversies. Stressing Critical Realism as the stratified, multi-causal approach needed for productive research today in the academy, this book creates the subject of the ontology of art history and sets aside a theoretical space for metaphysical reflection, thus clarifying the usually muddy distinction between theory, methodology, and historiography in art history.